Research such as the 2013 Uwezo study into education standards in Tanzania show a serious lack of basic 3Rs skills at basic education level. In response, the Government changed the curriculum for lower grades in order to address the problem of reading, writing and arithmetic with the help from the Global Partnership for Education (GPE). For the last three years, TEN/MET has been a key participant in the monitoring and valuation of the Literacy and Numeracy Support (LANES) Programme. 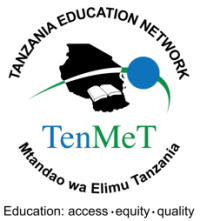 While continuing to undertake this role, TEN/MET also seeks to create structural improvements in quality of learning outcomes at a National level. The intention is to derive change through interventions such as, but not limited to: lobbying for larger quality assurance budget within the MOEST; presenting case studies on local government accountability to PO-RALG; and lobbying for greater authority for Government quality assurance departments to insist on quality outcomes. Through coordinating the network, the TEN/MET Secretariat also seeks to directly benefit quality of learning outcomes by upskilling and empowering its Members. This includes activities such as annual coordination of the Quality Education Conference. This area aligns fundamentally with Sustainable Development Goal (SDG) 4 in calling for ‘inclusive and quality education for all’, but also speaks to wider social welfare of children. It encompasses themes of inclusivity, equity and access. As a stand-alone concern within this area, Members have highlighted the 2009 UNCEF report on Violence Against Children (VAC) in Tanzania. Particularly focusing on the profound impact that VAC has on access to education, TEN/MET will lead on national sensitivity and awareness campaigns through platforms such as the Global Action Week on Education (GAWE). Further, TEN/MET will commission and coordinate research studies and advocacy campaigns into VAC. Thirdly, the Secretariat will facilitate capacity building and awareness of VAC campaigns through training of Members. Having successfully lobbied the Government of Tanzania to include provision of Fee Free Basic Education in the 2014 Education and Training Policy (ETP), TEN/MET will now target increases in annual public-sector budget allocated to education. The education sector in Tanzania is currently estimated to receive below the international benchmark of 20% of public sector spending on an annual basis. TEN/MET therefore intend to lobby for an increase in funds to meet such target s such as those set out in the second National Five-Year Development Plan (FYDP II). Concurrently, the Network will work to build greater levels of efficiency, effectiveness and transparency of public sector expenditure on education throughout the National and Regional system. Even from a cursory literature review, one can conclude that the education system in Tanzania suffers from lack of clarity caused by contradictory legal and civic instruments. Members commented that the 1978 National Education Act was no longer fit for purpose and that it may be beneficial for amendments to be included in a complete redraft. Further issues included: the fact that the 2014 Education and Training Policy is yet to be ratified; conflicts between judgements on protection of girls; and Presidential edicts contravening education policies. Using the weight of its Development Partners in the network, TEN/MET will lobby for clarification on these issues and disseminate feedback from the Government accordingly. This target encapsulates the desire of TEN/MET to leverage the network as it requires the weight of the members to critically evaluate Government decisions in order to channel their views through existing forums such as Education Sector Reviews. 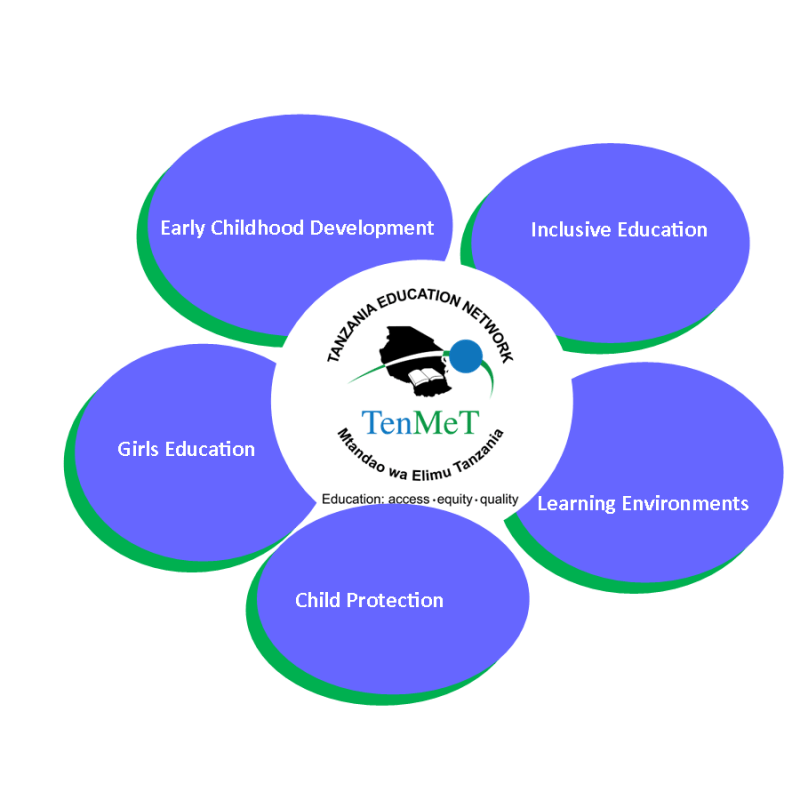 Having now been accepted into such forums, TEN/MET intends to lobby for further forums and consultative mechanisms to create a healthier system of decision making for education development. In addition to the actual number of forums, TEN/MET also wishes to increase the effectiveness and impact of outputs from such consultative platforms.